Rusty: Tyler…first of all, I dig your work. I think a link to a news story about you popped up on AOL News. This lead to watching one of your videos…and getting blown away. The video was set to Radiohead’s “All I Need”…which made it that much cooler. At that point, I knew it would a great idea to feature you on my site. So I did some research online and found out you have no formal training. How the heck did you break into being a celebrity photographer? Tyler: First of all thank you! Secondly, I got my start directing music videos then moved into photography. Then one day, actors just started asking me to shoot them and it was a snow ball effect from there! Rusty: When reading a bit of your background online it kind of reminded me of “The Fear and Loathing in Las Vegas”…not that you are nutty like Hunter S. Thompson. I just get this picture of you running around LA non-stop, staying up for days at a time, living and breathing your work…intermixed with the occasional party. How accurate is that picture? Tyler: Hahaha. No drugs & no drinks for me…but the crazy is right there on par. This is certainly my life and everyday gets more and more crazy. Rusty: I’m fascinated by people who are creative and push the edge. What I love about your stuff is I’m sure that it offends some people…and others are huge fans. What are some of the most interesting reactions that people have to your work? Tyler: A girl I was dating showed her father a photo I did of her. His response was “that is degrading and disturbing”…but she loved the photo and I thought his comment was amazing. Rusty: Who are some of the other creative people (artists, musicians, actors, etc.) that inspire you? Tyler: I am big into music but I listen to songs on repeat hundreds of times in a day. As far as inspiration goes, I find it all in my life. Rusty: Is video or photography your medium of choice? Tyler: To me they are all one in the same. A shoot is a shoot or video…still we are creating something together. Rusty: You seem to work with the big names in young Hollywood. Justin Long, Kellan Lutz, Ashley Greene, Lindsay Lohan, Gary Busey (not young…but cool as hell), etc. Any particularly interesting ones that stand out above the rest? Tyler: I have had adventures with all of them: Gary was so fun, Lindsay is amazing and Kellan punched something until his hand began to bleed for me. There is certainly a story that goes along with everyone i shoot. Sometimes people hear about it. Most of the time they don’t! Rusty: You have some great stuff in your portfolio. Rain Wilson’s character Dwight on The Office has made me laugh hundreds of times…loved that video on your site when he attacks you. Do you ever get star struck working with some of these guys you have seen numerous times on TV or in the movies? Tyler: No I have never been that type of person. We are just 2 people who happen to be doing something random. Rain said he wanted to do something crazy…and I said “why don’t you beat me up”? Everyone laughed except for him. I kicked them out, then he beat me up. We will always have that story…connected through the chaos. Rusty: Incredible choice of tunes in your videos. Have you ever thought of doing photo shoots with musicians? Tyler: I have shot a few my Chemical Romance, Serj Tankian, Peaches and more…but its very different from actors. I suppose I will do more down the road. Rusty: So tell me about your upcoming book “The Dirty Side of Glamour“. Tyler: I have been working on it for years . 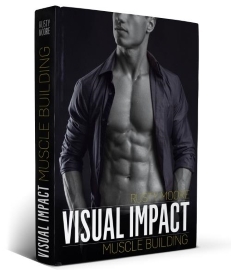 I’m so excited for the day to come when I’m able to say “Here is the book”…because if people think they have seen my crazy photos they are in for a treat. I have been saving the best for the book! Rusty: I will make sure and put a link to your book here as soon as it is released. Until then, what are some of the best ways for people to follow your work? Tyler: My website TylerShields.com and Twitter.com/tylershields are the best ways. Make sure and check out his site. The videos above are outstanding and I know he has received a ton of great feedback on them. He gives regular updates on his photo shoots over on Twitter as well. Tyler…thanks for again for letting me use some of your art on my site. I’m a big fan! But before I jump too far ahead, this guy does work with many established actors who all have the lean athletic Hollywood look – not the super huge meat-head look that died out in the 80s. Very cool you got this interview, Rusty! Great stuff as always. I’ll just keep leaving it to you to put awesome interviews like this one together. I can only hope to have a following like the one you have here at Fitness Black Book one day. I’ll be following. As always. Great Interview and I Like the theme of this blog. I’d say most people are into the hollywood look. After Losing close to 90lbs I think I can finally say I “almost” have it. I can definitely vouch for the effectiveness of the things you say on this blog. Keep up the good work! Really cool that you got this interview down. Tyler is really talented and has an amazing portfolio. Would like to see more posts like this. I really like this guy! His stuff is so raw and natural. I can see that other people try and do stuff like Tyler, but it just is never the same! He is definitely in a league of his own. Did you see the photos with Lindsay Lohan? They actually looked really good. He is raw and fresh and I think that is what works for him. Cool interview! Thanks. Any celebrity interviews in the works…? I’m watching “The Office” right now, obsessed with Rain Wilson!! Photos/Video are AMAZING, I love the dirtiness to them. I hadn’t heard of that guy before but he certainly looks like he is going places! Some of the video is pretty crazy! 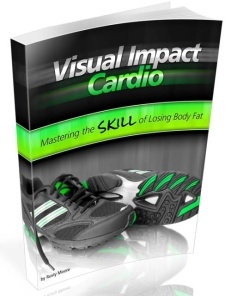 It looks like some of those people in the video got the Vacation Body Blueprint before they did that shoot. It just goes to show you that people want to see that lean, athletic look NOT the meat-head look and Tyler seems to really show that. Love Tylers photo’s. Just goes to show when you put your mind to something, what you can create. The same is true with fitness, as new year begins lets all start it on a high note. Lets all start this year on a hight note, and push for physical fitness. I must say that is some amazing stuff. I have always been inspired by creative and unique photography and I love the images and videos that you’ve shown here. Out of curiosity, do you know what photo Tyler shared with his girlfriend’s dad?? When something gets that kind of reaction, you know it’s something worth looking at. Rusty, thanks a lot for sharing the interview. Great stuff as usual! Once they do a movie, TV show or photo shoot showing off their physiques, they become even more popular. I’d be interested in know what special “techniques” photogs like Tyler Shields use for making their subjects look even better in their shoots. Do those guys just use digital magic to take out all the scars, stretch marks and cellulite, is it the lighting…or do some of these celebrities and stars REALLY look as good in person as they do on camera? Thanks for sharing…I’m looking forward to more off beat posts like this! Great interview Rusty! Not the typical stuff we get to hear about. I didn’t know about him but saw these pics and checked out his site. Definitely has some different stuff that is very eye catching. I like it! Gotta get him doing some fitness stuff. Get him to shoot you! LOL! His artwork really reaches out and slaps you in the face! It stands out from the mass of images we see all day long . . . and leaves a slightly disturbed feeling. So, yeah Rusty, I think he’ll become more of a known name soon. Of the photos shown above, what would be your favorite? Mine’s definitely the one with the guy who has milk splashed over his face. Very unique angle and style. Tyler’s work is amazing. I have seen a few celebrities up close, and it always amazes me how “lean” they look in person. It must be a thrill to work with such creative people. Nice to get the inside scoop! Well done on securing this interview Rusty. Coming from a creative and photographic background, I can san that Tyler is a true talent. Great interview! It’s amazing that Tyler was able to become so established without any formal training. Just goes to show exceptional talent and word of mouth can go a long way. Loved the interview! I had seen Tyler’s work with Mr. Quinto then I was hooked. Love it all thanks guys. Thanks for the great post as always Rusty. Awesome stuff. Just goes to show you that if you set your mind to something you can accomplish it. Will power is an amazing thing. In order to do anything career wise or fitness wise you need to be motivated, have a vision, a purpose and focus. With that we can all get what we want in this life. Great stuff Rusty! This guy definitely has talent. Cool to see he has no formal training as well. I really love photography myself and have been playing around with toy cameras like Holga for a few years now, winning in a nature photography contest somewhere along the way. Thanks for letting me know of this guy! Great interview! Was definitely interested in reading this to see some of the photos of Dwight Schrute (Rain Wilson). Now I think I’ll go watch another “The Office” re-run! Tyler definitely has an “eye” and flair for capturing raw/stark imagery! Absolutely loved watching the compilation video set to “All I Need” (actually watched it 2x) – my favorites were the black & white images and the car trunk closing view from inside the trunk. Thanks for doing this interview Rusty… will definitely check out more of Tyler’s work on his website. How did you score such an awesome interview? Great work by the way. Thanks for keeping your post so unique each time. Wow, this dude is very talented. I like the Rain Wilson Pic. We live in an age where the consumer is beginning to take control of the market instead of the large corporations. Word of mouth is more powerful than ever. A cat with this talent will definitely make noise not because its marketed well but because his work is good and that is really great! Keep doing interviews Rusty, you have a good eye for talent. Great interview and this guy is obviously a great talent. It goes to show that simply taking the picture isn’t enough. You need to set things up before to get the right shot. Sort of like visualizing success in advance which is something all of us should do. Thanks for introducing me to his art Rusy. Way cool. Awesome post. My jealous side wants to call him lucky, but Tyler Shields definitely knows what he’s doing. I was amazed by those videos. Keep up the good work. I appreciate the hard work! I’ll “come out” and say that i’m not the biggest lindsay lohan fan (can’t speak for my wife though since she’s a lohan nutter). However lindsay has been through a LOT in 2010. Everyone (celeb or not) deserves a break and IMHO the pictures did a great job of capturing the person behind the image and not the bad girl we constantly see being hounded by the press. And as a big fan of Mr Bad A** Danny Trejo? What i hate about interviewers are the long pointless “let me shine in the limelight” stupid questions, but i actually loved this one Rusty. You kept em short and to the point and have gained a fan in the process m8. I saw some of Tyler Shields work before. I always described his pictures as…Intense. This truly brings out a different side of celebrities. Great post! Hope to see posts like these again! I am really impressed with his work. A photographer is like a painter their role is to bring out and magnify the beauty of its subjects. The best fitness and rock and roll photographers are probably some of my favorite at shooting their subjects. Really awesome to see his work with some rockers. Hopefully Tyler gets as big as Anton Corbijn. I like how you took a break from fitness for a bit to introduce this talented gentleman. I have definitely seen some of his pictures around. Kudos to Tyler Shields for succeeding at his passion, formal training or not! That guy surely is a great artist! I think Tyler’s photography is so inspirational because he captures that psychological tension everyone has. That gap between what we have and what we want. In terms of fitness I see it all the time, lifestyle gaps like ‘I want to look younger and feel more vital but my body and my job are always working against me.’ As a photographer, Tyler captures it; we try to solve it with fitness tips that give people advantage. Just happened to see the movie machete’ over the holidays so this was right on time for me. I like how he didn’t have experience as a photographer but that didn’t stop him. Its all about perception and too many people think they have to be “trained” a certain way to do something they love so that ends up being a barrier for them. I say just do it! Kudos to you for doing an interview with Tyler. He has some great pics by the way. Great interview Rusty! Any idea how much work Tyler puts in “touching up” celebrity photos? I’d be curious if he’s able to bring out the best in his subjects during the photo shoot or after. Amazing stuff! That video is really thought provoking and very creative. I respect photographers and their work. Catching certain images and/or moments in a still photograph is fascinating to me. Thanks for posting this interview Rusty. I love the kind of creative dynamic Tyler talks about, when people get together and are completely open to ideas. It’s something unique each time, and the buzz you get from it is amazing! I miss that element of modelling and acting. Love to do again. That photo of Ashley Greene jumped out at me. Very cool. This is not related to fitness but I like it anyway. I grew up beside a photographer and I know a pro when I see one, Tyler is definitely a pro. I really think photographers are very artistic. This guy definitely has the eye. I also like that he doesn’t get star struck. I’m sure that plays a big role in making sure he captures a great shot. Anyways, great post Rusty. Cool interview. I’ve always admired people with artistic abilities who are creative like Tyler. thanks for this interview, rusty. It’s always nice to get an expert’s perspective on how to use design and creativity to create a powerful, beautiful image for your audience. I’ve really learnt a lot from you, Tyler. Looks like he takes a lot of great photos! Hey Rusty, You should get Tyler to do a photo shoot of you! Though he probably wouldn’t want you to beat him up. Maybe he could photograph you destroying a whole bag of gummy cola bottles! That is something I’d like to see! I first heard of this lad from his infamous photoshoot with Lindsay Lohan. He definitely pushes the button, but that’s a major part of the reason that his brand is gaining so much momentum. I read somewhere that this guy stayed awake for 968 hours straight last year. That doesn’t seem humanly possible. Wow Tyler Shields is as brilliant as they get keep it up! Awesome interview, the guy makes some great points and has some amazing pictures! Got to admit.. Tyler is very talented.. Amazing pictures! Previous post: Gone in 60 Seconds: One Minute of Activity to Avoid Storing Calories of a Meal as Body Fat. 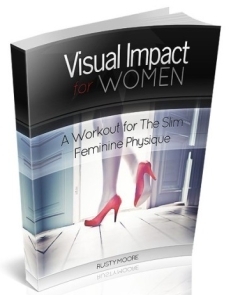 Next post: “Visual Impact for Women” – Jazzed to Introduce My New Women’s Course!